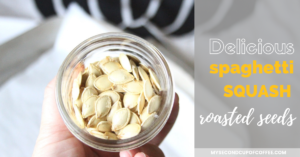 Have you ever tried making other roasted squash seeds other than pumpkin?? The other day I was making spaghetti squash for dinner. As I started scooping out the seeds, it reminded me of the Hallmark’s show Home and Family and their recent episode where they had a segment on what to do with all different types of squash seeds. Apparently, you don’t have to be limited to just pumpkin seeds!! All squash seeds are good for roasting and even, to my surprise, making seed milk from them! Who knew? So right then and there I decided to give it a try since I already had a squash on my cutting board! It turned out to be super easy, and if you are brave, go for it too! Summer wouldn’t be complete without a picnic or two, would it? And what better way to complete a summer picnic than with a pitcher of a refreshing lemonade? 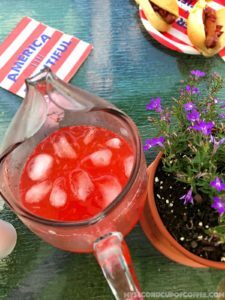 Today I want to share with you a recipe for Strawberry Lemonade. It’s a variation of an old classic, but with a sweet twist. It also goes perfectly with the red, white, and blue theme for the Fourth of July! Surprise your guests with this delicious thirst quenching homemade drink!